The Department of Veterans Affairs issued a solicitation for a contractor to handle EEO claims investigations at its Office of Resolution Management. One of the bidders, David Jones CPA (DJCPA) was eliminated from consideration because the VA found that one of his line item prices was not fair and reasonable. DJCPA challenged the VA's adverse price reasonableness determination, arguing that the VA unreasonably eliminated its quotation from consideration for award without any discussion of or an acknowledgement of the relationship among the CLINs (Contract Line Item Numbers) and without considering the fact that its prices for all but one CLIN were lower than the VA's benchmarks. The Comptroller General agreed with the protester that the VA's price analysis was unreasonable. The VA maintained that because the solicitation instructed vendors to insert a not-to-exceed quantity for each line item, meaning that vendors were quoting on varied quantities, price reasonableness was conducted based upon an examination of the unit price for each contract line item number. Thus, according to the VA, it was reasonable for it to exclude DJCPA's quotation from consideration for award on the basis that DJCPA's price for a single line item was high. The Comptroller General did not agree. The solicitation did not provide estimated quantities for the various line items, and thus, the VA had no basis upon which to assess the reasonableness of DJCPA's overall price for the CLINs, and instead evaluated price reasonableness at the line item level. Before rejecting DJCPA's quotation on the basis that a single line item price was high, however, the VA was required to also consider the risk that this single line item price would result in an unreasonably high price overall, or consider whether the single line item price presents some other risk to the Government, as in the context of unbalanced pricing. Here, the VA engaged in no analysis whatsoever to assess whether there was a risk that DJCPA's high price on the single line item in question would result in the Government paying an unreasonably high price for performance of a typical order. In the Comptroller General's (CG) view, it was not reasonable to exclude DJCPA's quotation from consideration without performing such an analysis. On that basis, the CG sustained the protest. Are You in the National Disaster Response Registry? When national emergencies or disasters such as floods and hurricanes occur, supplies and services need to be procured and rushed to the affected areas quickly. To expedite this process, the System of Award Management (SAM), which all Government contractors are familiar with, contains a Disaster Response Registry as required by FAR 4.11 (SAM registration for disaster services not required by encouraged) and FAR 26.2 (preference for local firms - no carpetbaggers). Disaster Response Registry is a voluntary registry of contractors who are willing to perform debris removal, distribution of supplies, reconstruction, and other disaster or emergency relief activities established in accordance with 6 USC 796, Registry of Disaster Response Contractors. The Registry contains information on contractors who are willing to perform disaster or emergency relief activities within the United States and its outlying areas. For more information about the Disaster Response Registry and instructions for registering, click here. Last week, Senator McCaskill (MO) wrote a letter to the Secretary of Defense in her position as ranking member of the Homeland Security and Governmental Affairs Committee requesting information regarding DoD's efforts to improve the collection and reporting of improper payments. A recently published report by DoD's Office of the Inspector General (OIG) reviewed the Department's compliance with the Improper Payments Elimination and Recovery Act (IPERA). The OIG noted that DoD had failed to comply with five out of six statutory requirements. For example, DoD failed to publish the required Agency Financial Report on time due to unresolved disagreement over the accounting of specific transactions. Also, the Department did not conduct the necessary risk assessments and publish improper payment estimates for some of its programs (e.g. travel reimbursements). DoD didn't seem too upset by the negative report. It defended its actions stating "we consider the improper payments program, as a whole, to be fundamentally sound. Describe any other steps, beyond implementing OIG's recommendations, that DoD has taken to address and reduce improper payments. Many other agencies beside DoD have had difficulties complying with the provisions of IPERA. Refer to "Improper Payments Acts -Government Efforts to Reduce Improper Payments" for additional information on the Act and GSA's (General Services Administration) problems in complying with its provisions. Many agencies have targeted employee travel reimbursements as their highest risk area for improper payments. That is also a concern of DoD but their biggest risk is improper payments to its contractors. Nazik Modawi and her husband Abboud Wali started a company called Rides Inc.in the Philadelphia area to provide non-emergency transportation services to the aged and people with cognitive and developmental disabilities. By all accounts, the company was successful, growing from three vans to more than 40 vans averaging 600 trips per day. The couple wanted more however. They wanted to get in on some of the largess spewed by the Federal Government and in particular, the Department of Transportation. Beginning in 1980, the U.S. Department of Transportation (DOT) issued regulations to increase the participation of minority and disadvantaged business enterprises in federally-funded programs. To become certified as a DBE (Disadvantaged Business Enterprise), a company must be owned and controlled by socially and economically disadvantaged individuals. Companies that hold DBE certification, are eligible for contracts reserved or set-aside for DBE companies. Recipients of DOT funds, such as the Southeastern Pennsylvania Transportation Authority (SPTA) must establish a DBE program. To become a DBE under SPTA's program, a company must go through an arduous, time-consuming qualification process. In November and December of last year, Modawi and Wali showed up at SPTA offices bearing wads of cash. We don't know how much but it was significant. The ostensible purpose of the cash payments were to get SPTA to expedite their DBE application for certification. That might be how things work in some countries but not here in America. The SEPTA folks immediately reported the cash payments to authorities. Thank goodness for that bit of honesty. An investigation ensued and now the couple has been charged with conspiracy and bribery. Those are serious charges. The conspiracy charge carries a maximum sentence of five years in prison and a $250 thousand dollar fine. The bribery charge carries a maximum sentence of ten years in prison and the same $250 thousand dollar fine. What is a Certificate of Independent Price Determination? The Government requires that offerors bidding on firm-fixed-price contracts to submit a Certificate of Independent Price Determination (see FAR 3.103-1). If you're a Government contractor or have bid on a Government contract, you've no doubt had to submit them. Offerors are also certifying that the offered prices have not been and will not be knowingly disclosed by the offeror, directly or indirectly, to any other offeror or competitor before bid opening or contract award and no attempt was made or will be made to induce any other concern to submit or not to submit an offer for the purpose of restricting competition. The purpose of this certification is, of course, to prevent collusion, bid rigging, or other violations of antitrust laws. This is the first step in assuring that Government contracts are not awarded to firms violating antitrust laws. An offer where the certification has been deleted or modified will be eliminated from competition. These certifications do not apply to commercial items. The Government estimates that 721,200 of these are prepared and submitted each year taking 15 minutes each or 180,300 hours or about 100 staff years. That's a lot of time. Well, it looks like more of DCAA's (Defense Contract Audit Agency) is going away. The FAR (Federal Acquisition Regulation) Councils are about ready to raise the audit threshold for termination settlement proposals. Currently, the threshold sits at $100,000. If a settlement proposal exceeds that amount, the TCO (terminating contracting officer) is required by FAR 49.107 to refer the proposal to the appropriate audit agency (DCAA, in the great majority of cases) for review and recommendation (i.e. audit). A revision in the "Final Rule Stage" will increase that $100,000 threshold to the Truth-in-Negotiation Act (TINA) threshold currently at $750,000. That would be a 750% increase in the threshold and will certainly impact (i.e. reduce) the workload at audit agencies who perform these audits. According to the FAR Councils, the new threshold is necessary to help alleviate the backlog of contract close-outs (i.e. let DCAA focus on winnowing its backlog of incurred cost audits) and to enable contracting officers to more quickly de-obligate excess funds from terminated contracts (i.e. TCOs won't have to wait months to receive audits). Under the new provisions, TCOs will still have the opportunity to request audits of termination settlement proposals under the new $750,000 threshold if they want to. That usually means that some level of risk has been identified in contractor proposals. Did you know that the Government can terminate your contract at any time for any reason? Well, so long as there is no bad faith or a clear abuse of discretion that is. Every Government contract has a termination for convenience clause. These clauses are found at FAR 52.249-1 through -10, depending upon the type of contract. Although these clauses are not mandatory flow down clauses for subcontractors, prime contractors would be taking undue risk if they don't flow them down to their subcontractors - if the Government terminates the prime, the prime will certainly need to do the same to its subcontractors. The Government has the right to terminate a contract at will under the termination for convenience clause and, absent bad faith or a clear abuse of discretion, the contracting officer's decision is final. How would a contractor go about proving the contracting officer acted in bad faith? Its not easy. It is well established that Government officials are presumed to act in good faith. To prove that a Government official acted in bad faith, a contractor must show a specific intent to injure by clear and convincing evidence. That requires a showing of "well-nigh irrefragable proof of malice" or a specific intent to injure. Due to this heavy burden of proof, contractors have rarely succeeded in demonstrating the Government's bad faith. A party to a contract cannot use an implied duty of good faith and fair dealing to expand another party's contractual duties beyond those in the express contract or create duties inconsistent with the contract's provisions. As a result, if the government has the contractual right to terminate a contract for convenience (and it does), the Government may exercise that right without breaching the duty of good faith and fair dealing. Seems obvious, right, but contractors have tried that argument. If a contract is terminated, contractors are entitled to costs that have not already been reimbursed, a portion of the fee that was earned, and settlement costs. T&M (Time and Material) contracts are common Government contract types. These contracts are usually issued when the Government cannot realistically estimate the requirements or the requirements cannot be known at the time of award. Firefighting is a good example. The Government wants to have forest/brush fire fighting capability under contract but the requirements depend on the number of forest fires which cannot be reasonably or accurately forecast. There are special schedules in annual incurred cost submissions that require contractors to list their T&M contracts and then to detail the billings submitted to the Government for the work performed. Auditors generally focus on two areas related to T&M contracts; (i) are the hours charged to the Government supported by the contractors books and records and (ii) do the employees charging those hours meet the labor qualification set forth in the contract. Auditors might also compare the billing rates to the contract rates but this usually is not a high-risk are that auditors desire to pursue. At one time, contract auditors were instructed to question any costs for work performed by employees who did not meet the qualifications for the position. So, for example, if the position called for an engineer with a graduate degree and the auditor found the engineer had only a bachelor degree, the auditor would question the entire charges. The problem with this practice is that in many cases, contracting officers had approved the lesser qualifications or were satisfied with the services rendered by lesser qualified persons and approved it after the fact. This resulted in a significant waste of time by auditors, contractor personnel and contracting officers in developing findings, responding to findings and resolving findings. In 2014, things came to a head and DoD insisted that before the contract auditors question any costs for work performed by under-qualified individuals, they first contract the contracting officer to determine whether approval was granted to the contractor to utilize those employees for the required tasks. But that's not all. If the contracting officer did not approve substitutions, the contract auditor must ask whether, under the circumstances, if retro-active approval will be given. If so, auditors should not question any costs. If you're a T&M contractor and find yourself in similar situations, be sure to obtain contracting officer approval before substituting skill levels for contract minimums. Even if you need to adjust the contract price as a result, you should still be profitable. Internal controls over company-issued purchase cards should be of paramount concern to Government contractors. Regular readers of this blog will recall several reports where the cost of improper purchases using company-issued purchase cards were passed along to the Government and fraud charges resulted. Its serious enough when employees defraud their employer but when those charges pass through to a Government contract, things get much more serious. A contractor cannot just let those involved slip quietly off into the night. There will be consequences for both the individual(s) and the contractor. But purchase card fraud is not just a contractor problem. It affects the Government as well. In fact, GSA's (General Services Administration) Office of Inspector General recently (OIG) published an audit that found GSA's purchase card program is vulnerable to illegal, improper, and erroneous purchases. GSA lacks controls for identifying split purchase card transactions, making GSA vulnerable to cardholders violating federal procurement regulations. Contractors might want to assess their own purchase card policies and procedures against these reported (and common) deficiencies. Here's a few ideas you can use to enhance your own internal controls. Create a formal purchase card policy. Who is authorized to have a card?. What type of purchases are allowable? Require substantiation. Require original receipts. Document business purpose to ensure purchase has a legitimate business purpose. Require formal approvals. Periodic internal reviews. Require independent (skeptical) internal review to periodically review purchase card statements and supporting documentation for propriety. Remember, "trust" is not an internal control. YWCA of Greater Los Angeles, a 52 year incumbent, protested the Labor Department's award of a contract to "newbie" Management and Training Corporation (MTC) to operate a Job Corps center in Los Angeles contending that the Labor Department engaged in unequal discussions. The GAO upheld the protest. The reasoning gets a little confusing so hang in there. The solicitation designated the center's director position as a key personnel position, and required offerors to submit a resume and letter of commitment for the director. The solicitation also advised offerors that they must notify the contracting officer in writing of any change in the availability of the proposed center director when the change in status occurs, at any point in the procurement process. But here's the rub. The solicitation also contained a provision explaining that any offer, modification, or withdrawal received after the exact time specified for receipt of the offers is late and would not be considered. The GAO has oft explained that offerors are obligated to advise agencies of material changes in proposed key staffing, even after submission of proposals. Additionally, when a solicitation requires resumes for key personnel, the resumes form a material requirement of the solicitation. When the agency is notified of the withdrawal of a key person, it has two options; either evaluate the proposal as submitted, where the proposal would be rejected as technically unacceptable for failing to meet a material requirement, or open discussions to permit the offeror to amend its proposal. In this case however, the Labor Department maintained that the language in the solicitation afforded it a third option. The GAO did not agree. The Labor Department argued that the terms of the solicitation permitted offerors to substitute key personnel at any time. They further maintained that allowing offerors to do so does not constitute "discussions". They argued that this situation differed from prior situations considered by the GAO because the solicitation contained an explicit requirement that offerors notify the Labor Department if any of their proposed key personnel become unavailable. Thus, according to the Labor Department, it did not conduct improper "discussions" but simply allowed MTC to make a late key personnel substitution as permitted by the solicitation. Sounds like a reasonable interpretation, right? YWCA on the other hand argued that the plain language of the solicitation does not support the Labor Department's interpretation because it is silent with regard to the submission of a proposal revision substituting a new key person for one that becomes unavailable. YWCA further argued that the Labor Department's interpretation would create a conflict between the key personnel notification provision and the provision dealing with late modifications provision because the late modification provision does not contain an exception for the type of proposal modifications necessary to propose new key personnel after the time specified for the receipt of offers. GAO agreed with YWCA. GAO stated that the plain language creates nothing more than an obligation for an offeror to provide notification if proposed key personnel become unavailable. The Labor Department's interpretation would be in conflict with the provision prohibiting late modifications. The notification requirement did not implicitly grant special permission for offerors to make late modifications regarding key personnel. Further, even assuming for the sake of argument that the solicitation could reasonably be read to permit offerors to make late substitutions of key personnel, the agency's decision to allow MTC to submit a late modification to its proposal would still have been tantamount to the conduct of discussions. Submission of key personnel resumes after receipt of final proposals constitutes discussions, not clarifications, because without the resumes, the proposal would omit material information required by the RFP. When an agency conducts discussions with one offeror, it must conduct discussions with all offerors in the competitive range. Here we find the agency's conduct of discussions with only one offeror constituted unequal and therefor improper discussions. Huntington Ingalls Shipbuilding has agreed to pay $9.2 million to settle allegations that it violated the False Claims Act by knowingly over-billing the Government for labor charges on Navy and Coast Guard ships at its Pascagoula, Mississippi shipyard. This represents the culmination of a long drawn-out investigation and prosecution for labor mischarging that occurred beginning in 2003. Previously, three individuals who worked for Huntington were prosecuted and sentenced under the case. Two were sentenced in 2015 and the third in 2016. Huntington billed the Navy and Coast Guard for labor costs that were actually worked on other contracts. Presumably, the Navy and Coast Guard contracts were cost-reimbursable contracts while the other "unmentioned" contracts were fixed-price contracts and may have been in overrun position. Huntington also billed the Navy and Coast Guard for dive operations to support ship hull construction that did not actually occur. The labor mischarging allegations were originally raised in a whistleblower lawsuit (i.e. a Qui Tam action) which permits private individuals to sue on behalf of the Government and share in the recoveries. In this case, the whistleblower will receive nearly $1.6 million (or we should say that the whistleblower and his attorney(s) will share in the $1.6 million reward). The poor whistleblower probably thought he would never see the end of it. Indeed, some whistleblowers have died before their cases were settled. As is typical in these matters, the settlement does not mean that Huntington is guilty. Its just a settlement to put the matter behind them. Here again, as we've written many times, the importance of effective internal controls over labor charging which includes the proper "tone at the top" is essential to prevent labor mischarging from occurring. Integrity should not be too much to ask from Government contractors. You can read the full Justice Department press release concerning this settlement here. Cost analysis is the review and evaluation of any separate cost elements and profit or fee in an offeror's or contractor's proposal, as needed to determine a fair and reasonable price or to determine cost realism, and the application of judgment to determine how well the proposed costs represent what the cost of the contract should be, assuming reasonable economy and efficiency. There are many bid protests filed each year with the Comptroller General's office (i.e. the GAO or Government Accountability Office) that are premised on the idea that the Government did not perform an adequate cost analysis - that the Government missed or misinterpreted a key element forming the basis for proposed costs. Many times - perhaps most of the time - these protests fail. Here are several factors the GAO considers when deciding on bid protest cases alleging deficient cost analysis. A Governmental agency is not required to conduct an in-depth cost analysis. A Governmental agency is required to exercise informed judgment. A Governmental agency may reasonably rely on statements in an offeror's proposal which demonstrate the realism of its proposed costs without independently verifying each item of the proposed costs. Consider these factors before protesting a bid. You might think that the Government did something it should not have done or failed to do something it should have done. But, unless you are able to establish these points, you probably won't win your case. About a year ago, DCAA (Defense Contract Audit Agency) issued an audit report on costs incurred by Legacy East, New Century Consulting (NCC) questioning more than $50 million in costs billed to the Army between 2008 and 2013. This audit report just came to light after Senator McCaskill (MO) publicized the findings in a letter to the Secretary of Defense. According to McCaskill's letter, DCAA questioned costs related to seven luxury cars including Porsches, Alfa romeos, a Bentley, an Aston Martin, and a Land Rover. Although NCC claimed the vehicles were available to all employees, the audit found that the vehicles were used exclusively by the CEO, the COO, the CFO, and their "significant others". NCC was unable to provide adequate documentation to justify the need for luxury automobiles or show that their usage was in accordance with contract requirements. NCC admitted to using the cars during non-working hours but kept no records of non-work use. NCC employed the "significant others" of the CEO and CFO as executive assistants even though these assistants worked from home and never traveled to customer locations. NCC was unable to provide evidence that these executive assistants actually performed any work at all. NCC could not even provide a single email from these assistants. Despite the lack of documentation of proof of their work, in 2012, their average salary exceeded an astounding $400 thousand per year. The auditors disclosed that together, the CEO and CFO earned more than $2 million in 2013 which was $680 thousand more than similar executive earned elsewhere. The audit disclosed other compensation-related issues including compensation paid to consultants that exceeded their consulting agreements. The auditors also questioned costs for alcoholic beverages, automatic weapons, severance payment, rent, unnecessary licensing fees, extensive austerity pay, and other personal expenses. The Senator expressed concern that despite all of these findings, the Army continues to utilize this contractor and has requested the Army respond to a series of questions (see McCaskill's letter). The contractor has disputed the DCAA findings. The Army reports that its contracting officer will make a final decision on the disposition of audit findings. The General Services Administration (GSA) just released Government per diem rates for fiscal year 2018 (effective October 1, 2017 through September 30, 2018). Most Government contractors are well aware that travel costs charged to Government contracts are considered reasonable and allowable as long as they do not exceed the maximum rates in the JTRs (Joint Travel Regulations) and the FTRs (Federal Travel Regulations). Although FAR 31.205-46 provides for situations where higher rates are justified, many contractors will go out of their way to avoid the extra Government scrutiny that such justification attracts. The basic per diem rate is now $144 per day broken down between lodging at $93 and meals and incidental expenses at $51. This rate represents a nominal increase from the current $142 per day and applies to about 2,600 locations throughout the lower 48. However, those 2,600 locations are not places where Government contractors frequently travel. The preponderance of contractor travel is to the 332 non-standard areas (NSAs) that have higher per diem rates than the standard (or basic) rate. These 332 locations include all of the major U.S. cities. Most of the 332 NSAs have different rates depending upon the time of the year. For example, the lodging rate for San Francisco ranges from $222 per night to $302 per night depending upon the season. These rates are significantly higher than the fiscal year 2017 rates ranging from $172 to $242. For comparison, New York City ranges from $164 per night to $291 per night, dropping from $168 to $301 from fiscal year 2017. As a reminder, the travel cost principle at FAR 31.205-46 is written in such a way that contractors are limited to the sum of lodging and per diem, not the individual components. The cost principle also requires an adjustment to the maximum rates when no lodging is incurred. For simplicity purposes, many contractors reduce the rates to 75% on the first and last day of travel. The fiscal year 2018 rates are available now. Click here to access them. ADS Inc, a Defense Contractor based in Virginia Beach, Virginia, has agreed to pay the Untied States Government $16 million to settle allegations that conspired and caused small businesses to submit false claims for payment in connection with fraudulently obtained small business contracts. The whistleblower who filed the initial lawsuit, where the Government later intervened, will get a check for $2.9 million. This settlement, according to the Department of Justice, ranks as one of the largest recoveries involving alleged fraud in connection with small business contracting eligibility. In order to qualify as a small business, companies must meet defined eligibility criteria, including requirements concerning (i) size, (ii) ownership, and (iii) operational control. The initial whistleblower alleged that ADS, together with several purported small businesses that it controlled, fraudulently induced the Government to award several small business set-aside contracts by misrepresenting eligibility requirements.. Small businesses affiliated with ADS falsely claimed to be eligible service-disabled veteran-owned companies or socially or economically disadvantaged businesses under SBA (Small Business Administration) 8(a) business development program. According to the Justice Department, ADS and its affiliates knowingly made misrepresentations concerning the size of the businesses and their eligibility.Additionally, ADS engaged in illegal bid rigging schemes that inflated or distorted prices charged to the Government. ADS's actions deprived legitimate small businesses of federal contracting opportunities. Incidentally, ADS has a comprehensive Code of Conduct that it publishes on its corporate website. Maintaining a Code of Conduct is required by Government contracts over a certain threshold but often times, as in the case of ADS, there is a wide chasm between public personas and actual practices done in dark secret places. Anyone can do a cut and paste job with codes of conduct found splattered across the internet. Its all poppycock unless company executives set the proper tone at the top. More details are contained in the Justice Department Press Release here. The Equal Access to Justice Act (EAJA) awards attorneys' fees and litigation expenses to eligible individuals (and contractors) who are parties to litigation against the Government. There are several qualifications a party must meet to be termed "eligible". They must have a net worth of less than $2 million (or less than $7 million and less than 500 employees). They must be the prevailing party in the litigation. And, the Government's position was not substantially justified (see The Equal Access to Justice Act - Briefly for more details). The EAJA is a significant benefit to Government contractors who, for lack of resources, might not be able to pursue valid and legitimate claims against the Government. A recent ASBCA decision illustrates how the amount of the award is determined. Optimum Services, Inc. (OSI) was the prevailing party in a dispute with the Army Corps of Engineers involving differing site conditions. The case was decided for OSI and afterwards, OSI applied for EAJA fees and other expenses. The Government agreed that EAJA fees were due. The Government acknowledged that OSI was the prevailing party and did not dispute OSI contention that its position was not substantially justified. OSI submitted an itemized listing of EAJA expenses including attorney fees, legal assistant fees, reproduction, travel costs, transcripts, telephone, courier, postage, trial exhibits, expert witness fees, expert witness travel expenses, and fact witness expenses. Together these expenses totaled $717 thousand (later revised downward to $706 thousand). The ASBCA decision details how the Board considered each of the claimed expenses and ultimately it determined an amount due of $412 thousand. The primary reason for the reduction related to the statutory limit on attorney fees of $125 per hour. While OSI claimed attorney fees in excess of $400 per hour, it was only reimbursed $125 per hour. While the EAJA helps recover litigation expenses, it won't cover everything as illustrated by this case. Here, the contractor still had to absorb $300 thousand and prospects that large could have a deterrent effect on small businesses pursuing claims against the Government. Alternatively, they could look for legal representation charging $125 an hour but good luck finding those. Last December, we reported on a Justice Department announcement that it had indicted a Government contract employee for falsifying her timecard (see Falsified Timecard Leads to False Claim Against Contractor Employee). Yesterday the Justice Department that the Government contract employee has pled guilty to the charges (see Government Contractor Pleads Guilty To Making False Claims and False Statements). Our previous post details the crime so we will not repeat the details here. Essentially, the person was a full-time Government employee and also moonlighted as a security guard for a Government contractor at a SCIF (sensitive compartmentalized information facility). While supposedly on duty, she left the premises. The fraud went on for about a year from what the investigators were able to piece together. The reason we bring this up again is to illustrate the importance of internal controls. Presumably this Government contractor had an adequate accounting system that had been approved by an ACO (administrative contracting officer). Inherent in an adequate accounting system is a timekeeping system that internal controls of its own. So a supervisor had to have been signing off on the employees timecard certifying that the employee had been at work and had charged to the appropriate final cost objective. So what happened? Where were the internal controls that should have detected and/or prevented this from occurring? Was there a massive failure in the contractor's internal controls over timekeeping? Was there collusion? Which brings up the question for Government contractors reading this blog. Could this have happened at your facility? How certain are you that your "trusted" employees are at work and/or charging to the proper contract? And we're not referring to the games that contractors play when auditors show up at their facility to perform floorchecks. We're talking about the day-to-day operations when no one is really looking. DLA (Defense Logistics Agency) issued a solicitation to purchase diesel and aviation fuel. It received 31 proposals by the April 3, 2017 cutoff date. On April 8th, a company named Ghazanfar emailed DLA saying that it had submitted a proposal on March 13th but hand not received any reply or feedback about the process or progress on the proposal. DLA searched its electronic files but found no evidence that Ghazanfar's proposal had been received. DLA searched the email inboxes and junk email folders of the contracting officer and the contract specialist and found no emails for the dates that Ghazanfar asserted that it sent emails. DLA also had its IT specialist search the mailboxes as well as the correlating message tracing logs, but found no evidence of emails from Ghazanfar. So, DLA essentially told Ghazanfar, too bad. Ghazanfar filed a bid protest with the GAO. Ghazanfar provided copies of emails it had sent to the contracting officer and contract specialist. It also provided declarations from its deputy CEO and IT officer as well as screenshots demonstrating that the email transmitting the proposal had been sent to the appropriate DLA officials. The GAO was not at all sympathetic with Ghazanfar's plight. GAO stated that it is an offeror's responsibility to deliver its proposal to the proper place at the proper time. The protester has the burden of showing that it timely delivered its proposal to DLA. The record shows that Ghazanfar failed to establish that its proposal was actually delivered to and therefore received by DLA. Although the protester has provided evidence that it sent its proposal to DLA in a timely manner and that a copy of the transmittal email was received internally at Ghazanfar, this evidence does not demonstrate that DLA in fact received the proposal. Although neither DLA nor Ghazanfar were able to explain what happened to the emails containing Ghazanfar's proposal, ultimately Ghazanfar failed to satisfy its burden of showing that it timely delivered its proposal to DLA. Not sure why companies keep protesting these non-receipt of proposals by the Government. They never win because ultimately it is the offerors' responsibility to ensure the proposal was received. Why not just pick up the phone and make an inquiry? Its as easy as that. The term "data analytics" refers to qualitative and quantitative techniques and processes used to enhance productivity, business gain, and very importantly, to detect and prevent fraudulent activity. Perhaps you've received calls from your credit card company asking you to confirm certain recent charges to your card. How did thy pick you? How did they pick particular charges? Well, somehow, those charges were outside the norm for you. How do they know that? Through the use of "data analytics". Or, you might have noticed that when accessing a website, you see advertising for an item that you just read up on. You might have been reading about all the wonderful features of the latest Ford or GM model then you browse headlines on CNN and find advertising for Ford or GM. How do they do that? Through the use of "data analytics". Industry has been using and refining data analytics for quite some time. The Government, not so much. And to a certain extent, that's understandable. Credit card companies for example are liable for fraudulent charges. Someone steals and card and makes unauthorized charges, the credit card company is ultimately liable, not the card holder. In the Government's case however, losses or unauthorized purchases are simply passed on to the taxpayer. Or take the case of advertising. GM and Ford need to sell vehicles for business gain. The Government doesn't need to sell anything. There is no inherent business gain in anything the Government does. The Government's disinterest in "data analytics" may be changing. The Senate just passed Senate Bill 1099, Saving Federal Dollars Through Better Use of Government Purchase and Travel Cards Act of 2017. This bill is intended to provide for the identification and prevention of improper payments and the identification of strategic sourcing opportunities by reviewing and analyzing the use of Federal agency charge cards. Developing a plan, which may be based on existing capabilities, to create a library of analytics tools and data sources for use by Federal agencies (including inspectors general of those agencies). The misuse of Government purchase and travel cards are significant and widespread and the costs have been essentially born by the taxpayers. Perhaps this Bill will help reduce the number of occurrences of misuse or stop the activities before they become significant. Government contractors might want to follow these developments to see if there is something that can be adapted to their own internal control systems. 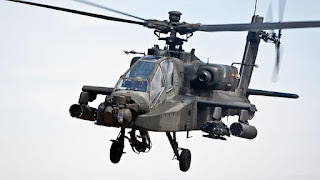 The Justice Department announced yesterday that a defense contractor pleaded guilty to repairing, rather than replacing, parts used on Apache helicopters (see Orange County Man Pleads Guilty to Federal Charge of Failing to Properly Overhaul Part Used on Apache Helicopters). According the Justice Department press release, the company, Prototype Engineering and Manufacturing, Inc. (PEMI) had a contract to overhaul and repair linear actuators that were used on the Army's AH-54-A Apache helicopters. PEMI was not authorized to repair DC motors used in the linear actuators unless it had received specific authorization from the Army. According to the plea agreement, PEMI used an outside contractor to repair 105 DC motors when those repairs had not been authorized by the Army. Those repaired motors were then installed into overhauled linear actuators which were, in turn, delivered back to the Army. As a result of the fraudulent conduct, the company received more than $320 thousand in improper payments. That is not the only thing this contractor (and by extension, its owner) did. He also pleaded guilty to aiding and abetting in the filing of a false tax return related to an employee's tax return. He paid the employee $100,000 but told the employee the amount was a gift which prompted the employee to not report the money as income of a federal tax return. In another case, this same owner agreed to pay more than $900 thousand after the Government determined that he had caused his company, PEMI, to submit false claims to the Army. The investigation found that , in addition to improperly installing repaired DC motors, PEMI also installed cheaper replicas of a jacket-and-nut assembly component, rather than purchasing that component from the original manufacturer. As a result of all of these actions, the contractor will no longer be able to solicit, accept or perform any federal Government or military contract. Look for a going out of business sign soon. After the House passed its version of the fiscal year 2018 NDAA (National Defense Authorization Act), the White House issued its "Statement of Administration Policy" listing provisions it liked and many more that it did not like. One of the provisions the White House does not like is the one requiring the Department of Defense to subcontract out 25 percent of required incurred cost audits (and related provisions). See Transitioning from Government Auditors to Commercial Auditors for Incurred Cost Audits and 2018 NDAA Passes House - Now On to the Senate to read more details about these provisions. Performance of Incurred Cost Audits: The Administration objects to multiple provisions in section 802. Mandating the acceptance of the claimed costs in their entirety if audit findings are not issued within one year of proposal receipt, restricting the use of multi-year audits, mandating that an arbitrary 25 percent of incurred costs be audited by qualified private auditors in lieu of a data-driven process, and mandating materiality thresholds will result in significant inefficiencies in the DOD audit process and result in significant unallowable costs being paid to contractors. Further, the materiality thresholds are significantly more prescriptive and detailed than defined in commercial or Government audit standards and are not risk-based. As a reminder, there are no similar provision in the Senate's version of the 2018 NDAA so the differences will need to be compromised in committee. With the Administration's objections on the table, there is some doubt that these provisions will make it into the final bill. Perhaps a watered-down version is still possible. FAR 15.306 describes a spectrum of exchanges that may take place between a contracting agency and an offeror during negotiated procurements. "Clarifications" is one end of the spectrum. Clarifications are limited exchanges, between the government and offerors, that may occur when award without discussion is contemplated. An agency may, but is not required to, engage in clarifications that give offerors an opportunity to clarify certain aspects of proposals or to resolve minor or clerical errors. Agencies have broad discretion as to whether to seek clarifications from offerors, offerors have no automatic right to clarifications regarding proposals, and such communications cannot be used to cure proposal deficiencies or material omissions, materially alter the technical or cost elements of the proposal, and/or otherwise revise the proposal. The Navy issued a solicitation for construction projects on Guam. The solicitation required offerors to provide a narrative describing the composition and management of the firms proposed as the "team". This narrative was to describe the primary construction firms and primary design firms for the contract and rationale for proposing this arrangement and offerors were to specifically identify one Lead Design Firm for the contract. In addition to the narrative, offerors were required to submit a fully executed true and authentic copy of the legally binding agreement, such as a joint venture agreement, partnership agreement, teaming agreement, approved mentor protege agreement, or letter of commitment for each member of the offerors team. The solicitation stated that an offeror that was rated unacceptable under this factor would not be considered for the next phase of the procurement. The Navy received a number of proposals for the work including one from Defense Base Services Inc. (DBSI) out of Anchorage. DBSI's proposal however did not include a legally binding teaming agreement between DBSI and its lead design firm but rather, a confidentially agreement dated two years before the solicitation was even issued. Based on that omission, the Navy eliminated the bid from further consideration. DBSI appealed to the GAO. DBSI argued that it was improper for the Navy to eliminate its proposal because the Navy should have permitted DBSI to correct its clerical mistake by allowing it to submit a teaming agreement during clarifications. The GAO found no merit to DBSI's contention that the Navy was required to seek clarifications. As stated above, the Navy was permitted, but not required, to obtain clarifications from offerors. The GAO also noted that although DBSI viewed its proposal omission to be minor or clerical, correction of this discrepancy would have required the Navy to conduct "discussions". Discussions occur when an Agency communicates with an offeror for the purpose of obtaining information essential to determine the acceptability of a proposal, or provides the offeror with an opportunity to revise or modify its proposal in some material respect. Would Anyone Question Pink Uniforms for the Afghan Military? You have probably heard the news that broke last week concerning the Pentagon's waste of $28 million buying uniforms for the Afghan National Army with a woodland camouflage pattern appropriate for two percent of the country. The Afghan Defense Minister picked the pricey, privately owned "forest" pattern over the free camouflage schemes owned by the U.S. Government because he liked the design and color. The Inspector General mused that what if he had liked pink or purple? Would the Pentagon have bought them pink uniforms without asking any questions? This is simply stupid on its face. We wasted $28 million of taxpayers money in the name of fashion because the defense minister thought that the pattern was pretty. So if he thought pink or chartreuse was it, would we have done that? "... the Defense Department gave up control of the purchase and spend an extra $28 million on the wrong pattern just because someone in Afghanistan liked it. It's embarrassing and an affront to U.S. taxpayers. Those who wasted money on the wrong camouflage uniforms seem to have lost sight of their common sense. The Secretary of Defense came down strong on the lack of stewardship by military procurement. Buying uniforms for our Afghan partners, and doing so in a way that may have wasted tens of millions of taxpayer dollars over a ten-year period, must not be seen as inconsequential in the grand scheme of the Department's responsibilities and budget. To the contrary, these actions connect directly to our mission budget situation. The purpose of equipping the Afghan National Army is to bolster the Afghan Government's capacity to provide for its own security, and ultimately, to help defend our country from terrorist attack. The ... report ... serves as an example of a complacent mode of thinking. The report is an indication of a frame of mind - an attitude that can affect any of us at the Pentagon or across the Department of Defense - showing how those of us entrusted with supporting and equipping troops on the battlefield, if we let down our guard, can lose focus on ensuring their safety and lethality against the enemy. As is often the case with these kinds of reports, we will probably be hearing about more examples of waste and abuse once Congress has a chance to schedule hearings.